Everything you do in Skatter is fully parametric. This means you can always go back and edit your work, even after closing and reopening SketchUp. When picking Surfaces, Curves and Objects, you can only pick groups and components. This is mandatory so Skatter can keep track of those picked objects throughout sessions, and remain fully parametric. If you don't specify a unit when entering a value, Skatter will use the model's unit. You can override it by specifying a unit (ie 3" or 12mm). Skatter can accept a comma or a dot as decimal mark. For now, Skatter only supports vertical projection. 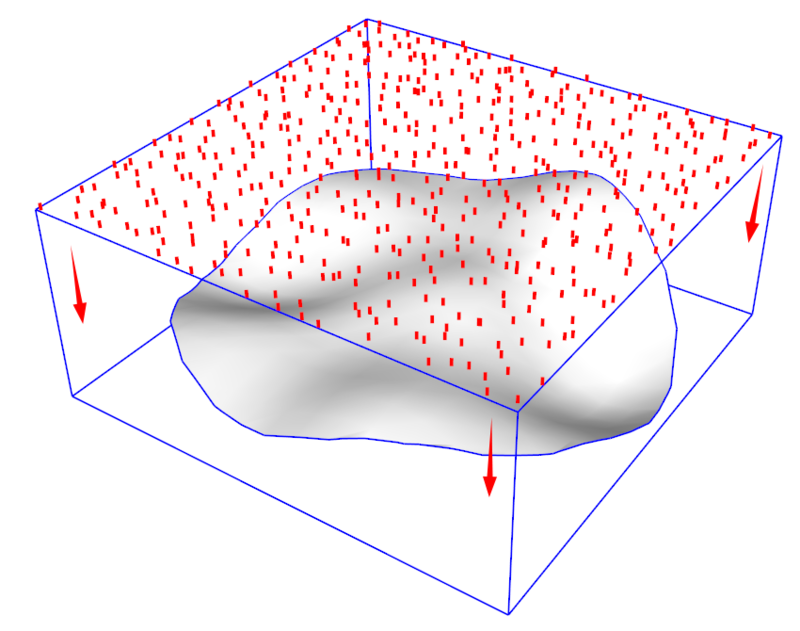 First, Skatter generates insertion points on a flat plane, at the top of the surface's bounding box. 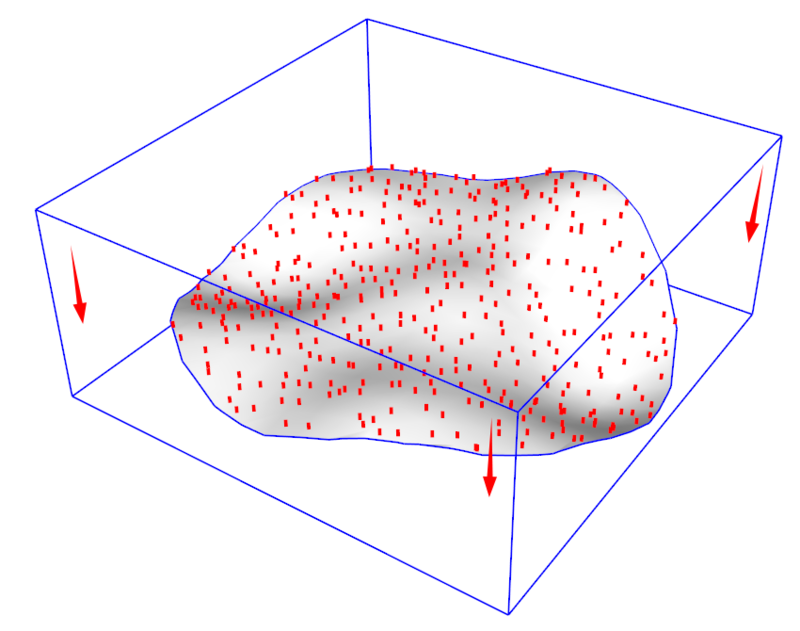 Then, all these points are projected down until they reach the surface. 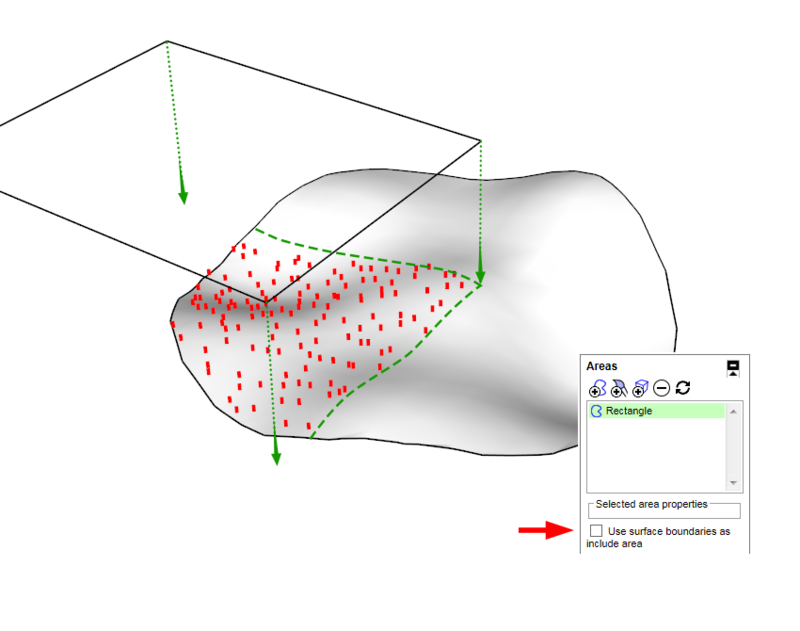 Finally, if you have selected an area, the boundaries of this area are projected onto the surface, and the insertion points are kept or discarded depending on their location. Don't forget to uncheck "Use surface boudaries as include area" if you want to limit the distribution to an "include" area. In the future you'll be able to scatter according to the UV/Normal, or along an arbitrary axis.